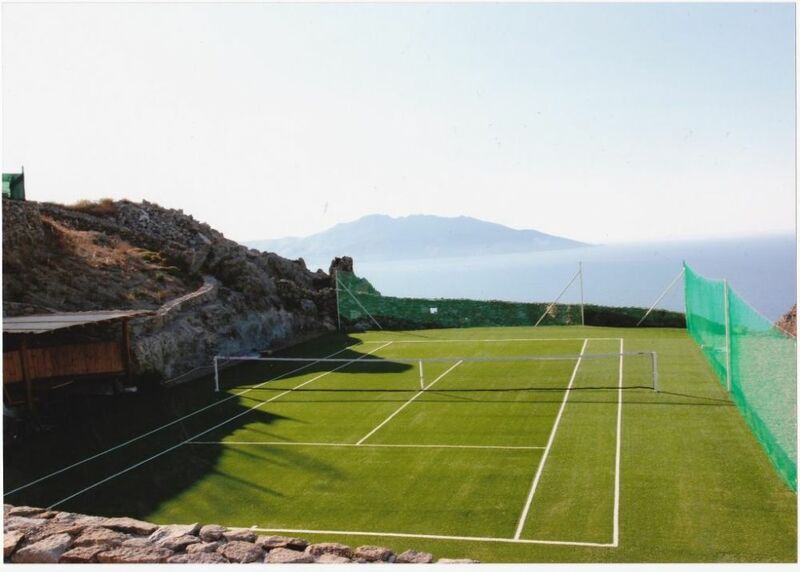 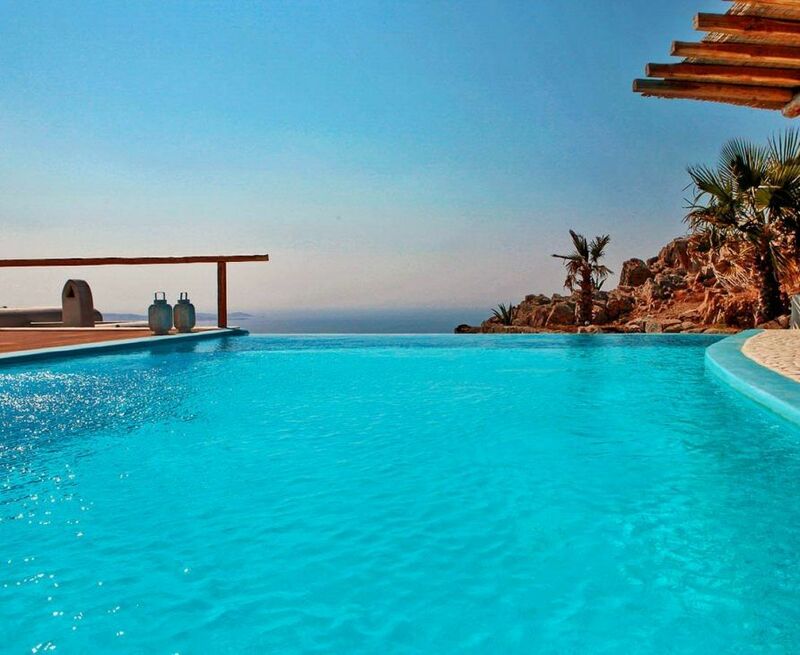 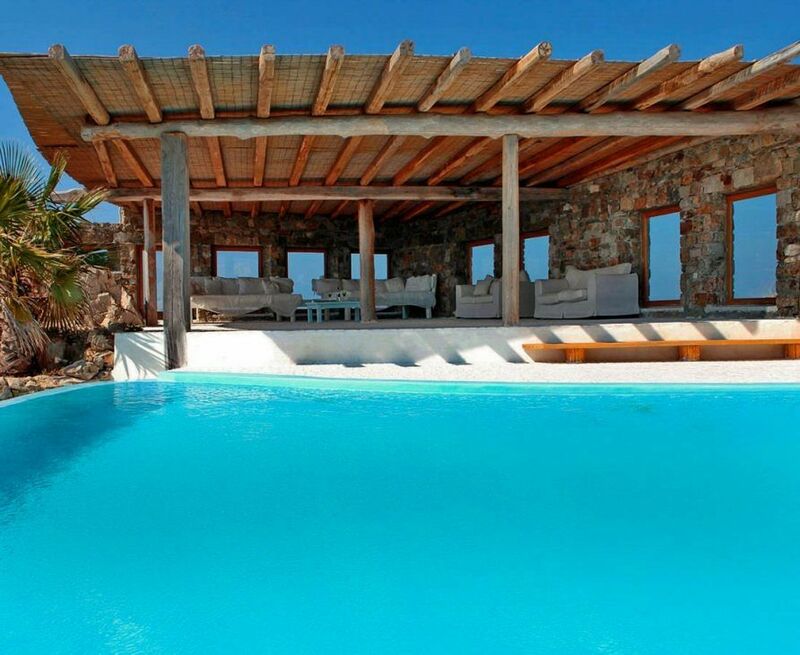 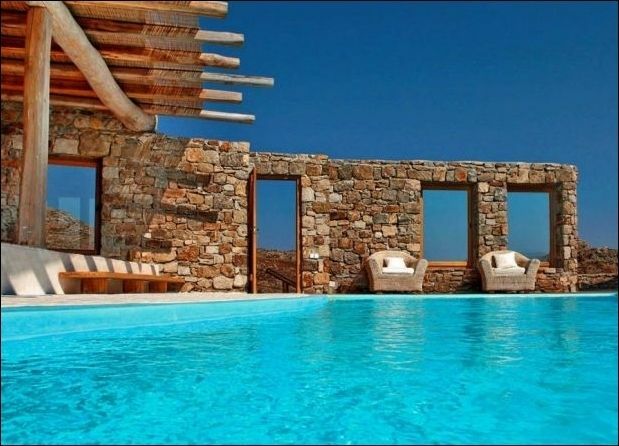 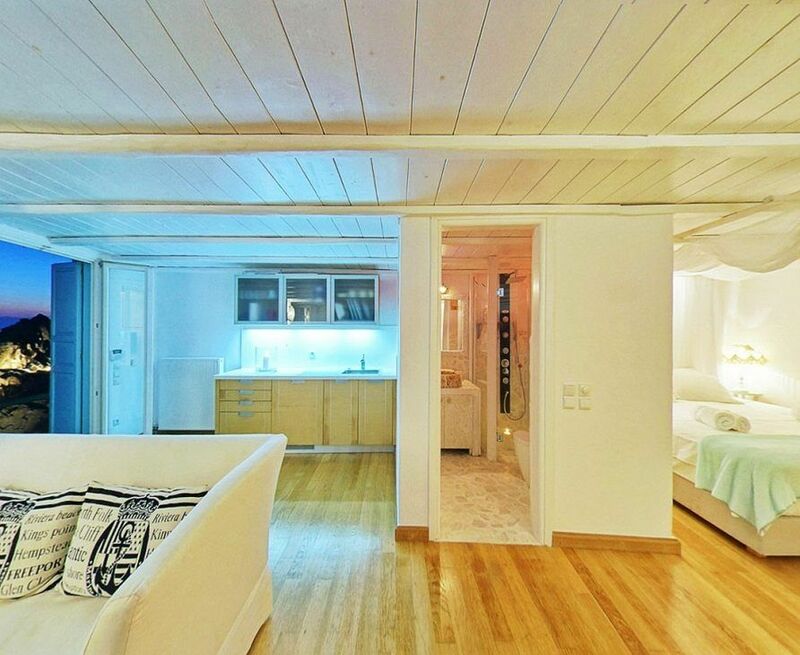 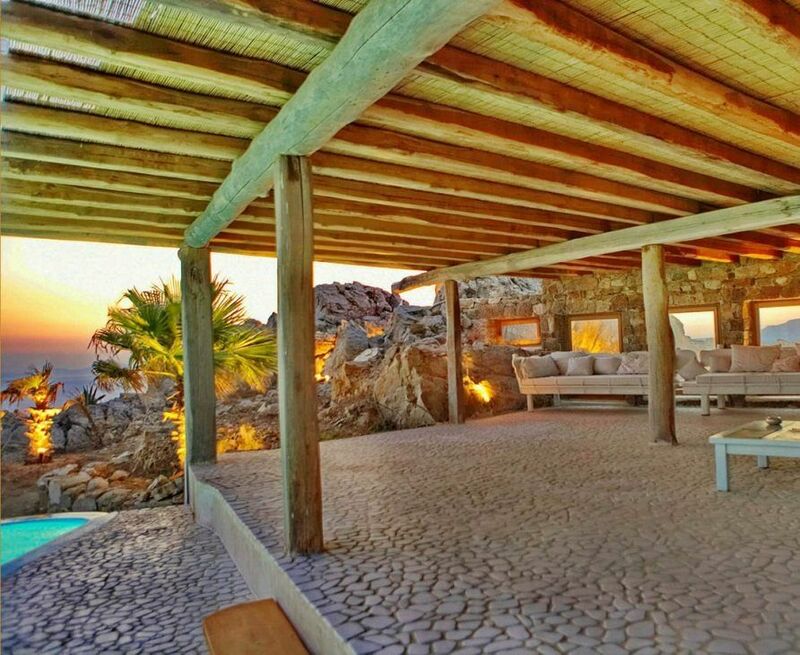 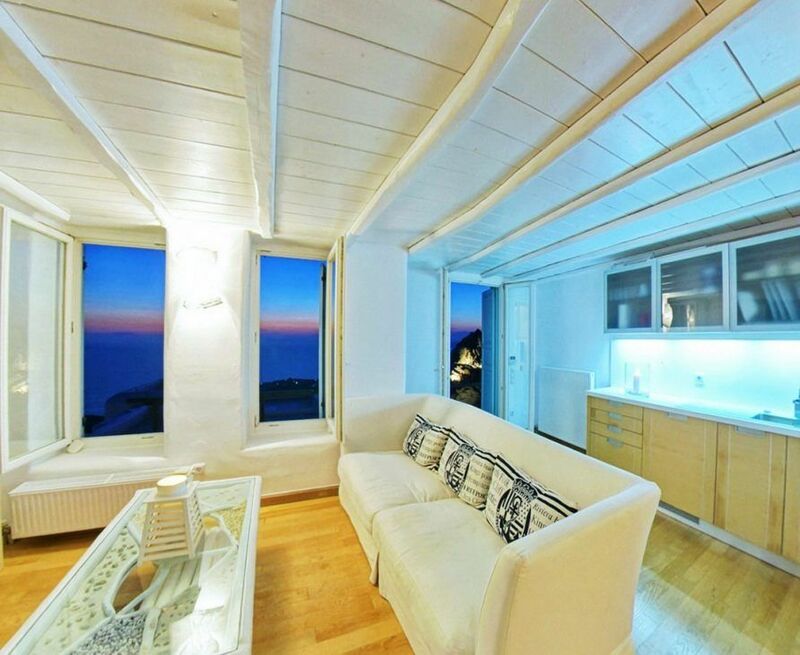 The Complex for rent of Luxury Villas located in Mykonos, Island in Greece. 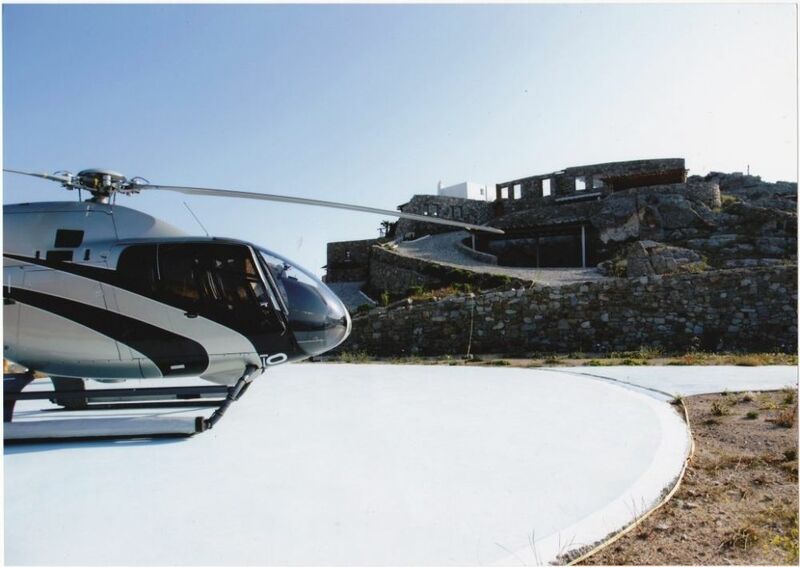 A private helipad is available for those who wish to travel in style as well as private security for the premises. 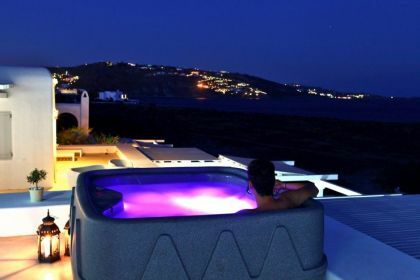 The Villa giving prestigious guests and romantic couples the opportunity to indulge in a luxurious world of their own with view to the endless horizon. 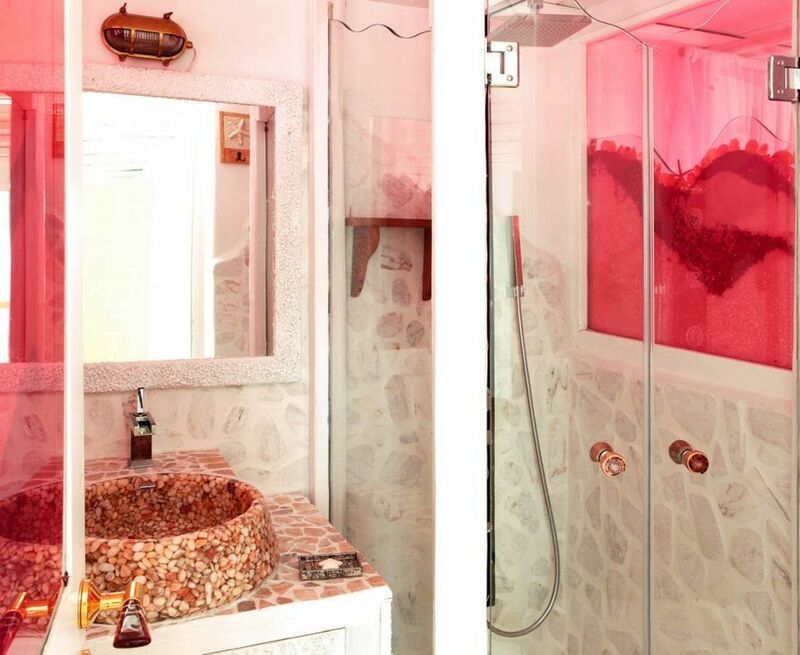 Designed to ensure a fairy like holiday, the seductive Suite can be reserved individually giving guests the option to enjoy absolute isolation and intimacy. 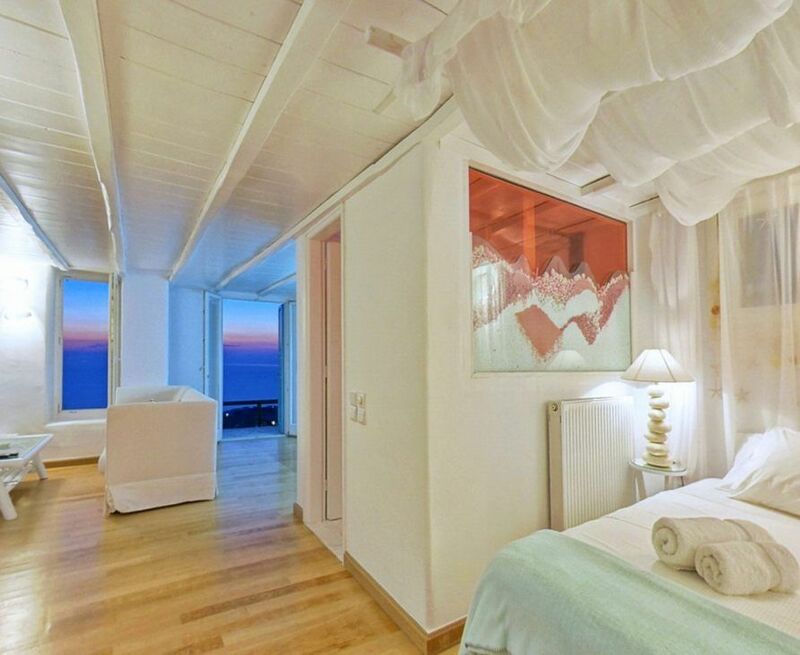 Encircled by the gracious nature the beautiful Suite Villa accommodation in Mykonos Island features a cozy en suite king size bedroom, an exquisitely designed living room with handcrafted furniture, a fully equipped kitchenette and a gorgeous bathroom with sea elements, colorful glasses and natural stone décor all leading to the gracious outdoors. 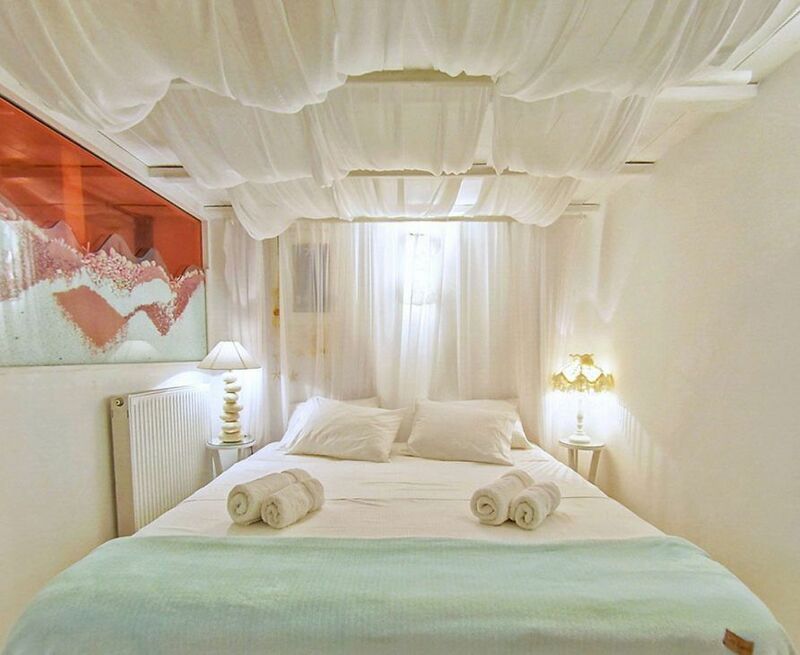 The en suite king size bedroom is ideal for honeymooners.